Keep your Beautyrest Black mattress as clean as the day you got it. Your mattress is a pretty happening place. You want to know how to clean a mattress, because if you’re anything like the average human being, you probably spend about seven to eight hours per night in it. It’s pretty inevitable that a place like that is going to get dirty. Unfortunately, your mattress isn’t like your bedsheets that can be tossed into a washer. Oh, and just throwing your mattress out isn’t an option — your mattress isn’t disposable (especially not if it’s one as comfortable as Simmons Beautryrest Black matress; let’s not get crazy). So how do you clean a mattress? Here are six simple supplies you’ll need. 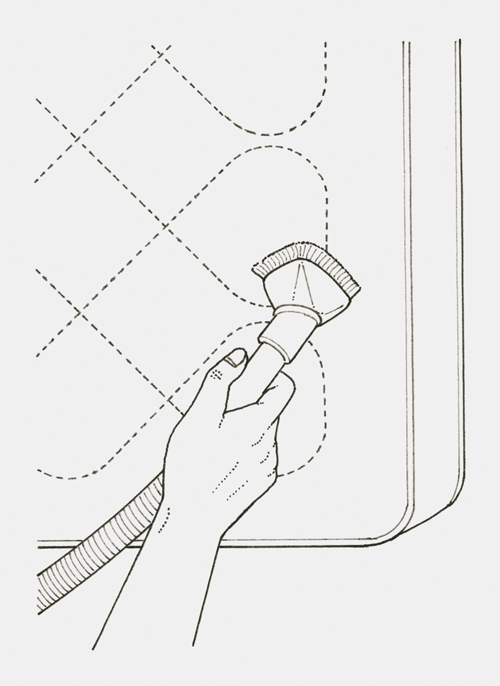 Your vacuum cleaner with the hose, or preferably an upholstry brush attachment, is your main, regular tool for keeping your matress clean. Use it over the surface of the bed to clean up dirt, dust mites, and other loose debris that builds up over time (remember, you spend a lot of time there). A sponge is the perfect tool for cleaning, as you’ll want to use a dabbing motion to lift particulates out of the fibers of your mattress, rather than rubbing them in. Sponges are also very absorbent, and are able to lift moisture more quickly than most towels or rags. The final tool of mattress cleaning, a spray bottle, will help you get the right amount of solution onto the areas you need. There’s nothing quite like dumping too much of a wet cleaning solution on your mattress to make your job harder. 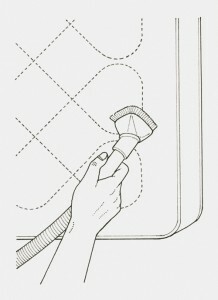 Use the vacuum hose or upholstery brush to clean a mattress. Cold water is one of your best friends when it comes to cleaning your mattress. Make sure to use cold water, rather than hot or warm water, as it helps make most stains easier to lift out of the surface of your bed, and won’t accidently cook a stain permanently into the surface. Vinegar not only disinfects the area, it’ll also start breaking down the stain. Add vinegar to a spray bottle and spray it on the stain. Sprinkle some baking soda over the top, and let it sit for about 10 minutes and fizz. Clean up what’s left with a sponge or vacuum, then dry any remaining moisture with a sponge. Baking soda can be mixed into a one part baking soda, two parts cold water solution as well. Use a sponge to apply the solution to the portions of your bed that need cleaning, and allow it to sit for about 10 minutes before using cold water to rinse the area, and a dry sponge to finish the job. For most situations, these simple supplies and solutions will be enough to get you by. 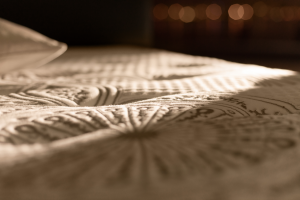 By regularly cleaning your mattress, you are helping lengthen its lifespan. Also, knowing how to clean a mattress is essential to keeping it hygienic and comfortable. And that’s important — after all, you’re going to be spending a lot of time on it.